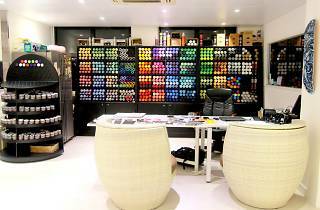 With a strong, inspiring name like “Write the Future”, this Kwun Tong art shop has been aiding aspiring and established artists in their creative endeavors with their selection of urban art supplies. 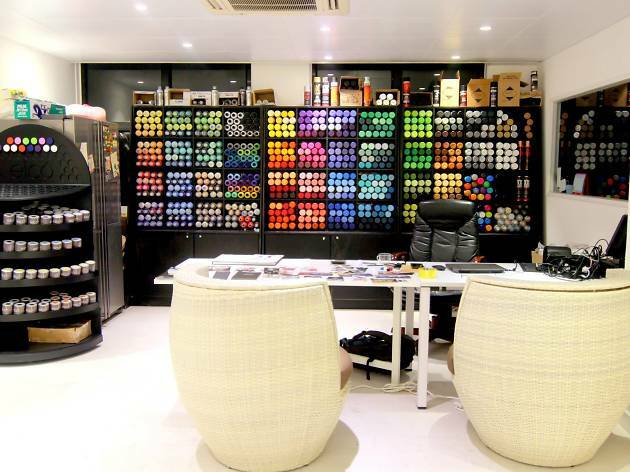 The official supplier in Hong Kong for Molotow products – popular German brand that does quality spray paint, acrylic markers, special UV markets – this art store is a favourite among local and visiting street artists in the city. Aside from showcasing graffiti artworks on the walls, the shop occasionally hosts calligraphy classes as well.